We went over to see The Kid’s new apartment. The take-out was on us so we chose a long-time favorite. A place where the food is consistently delicious and we could get grub that was quick and easy to buy, but messy and time consuming to prepare at home. We went to the Dog House. Those funny little faux dog chateaux with the fire hydrant trash cans are liberally scattered throughout the Bull City. If I were making a hot dog dinner at home, there’s no way I could do it cheaper. After I buy the package of frankfurters, the bag of buns, and the various toppings for everybody’s taste, it adds up. Then there’s the fries, the oil in which to cook them, the beverages, and if desired, dessert. They’re quick too. Even when there’s a long line of hungry Durhamites, I’ve never had to wait more than 20 minutes, start to finish. And finally, we get to the food. For me, there is one question about a hot dog that is make-or-break. It culls the herd right off the bat, before I know anything else about the eatery. Yuck. Yuck. Not for me. Are the dogs grilled, or are they wet cooked; i.e., boiled, poached, or steamed? There’s something that happens to the fat of a hot dog once it’s been cooked on dry heat. It changes it, and to me, is extremely unappetizing. If the skin is greasy and blistered, thanks, but no thanks. The Dog House folks steam theirs. So, it’s a go. The menu is a large board in the enclosure. Each frank is named for a different dog. I love the German shepherd, with sauerkraut, spicy mustard, and onions. Petey goes for the Hound Dog; with chili, and the Ol’ Yallow; with cheese and bacon. The Kid is all over the place. The plain puppy dog used to be chosen, but lately it’s been the German shepherd—no onions. Their sides are authentic and Southern. They’ve got beans, cole slaw and Brunswick stew. 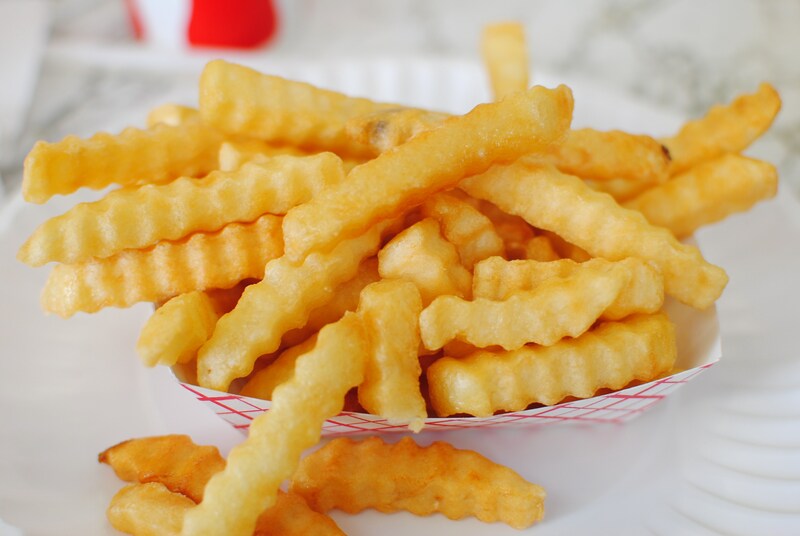 But wait, they make crinkle fries; hot, salty, crispy, crinkle fries. 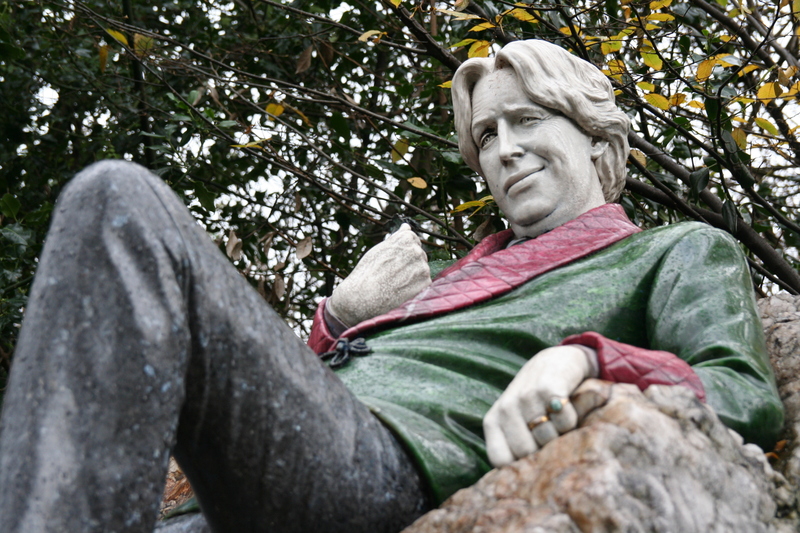 Feeling a little reckless? They can cover them with lashings of neon orange cheese sauce. And if afterward if you have any space left in your overly stuffed belly, they serve homemade fried apple pies (as much as I love them, sadly I rarely have room). When Petey and I were dating, back before cattle were domesticated, whenever he came to see me, he’d bring me an icy pink lemonade from Sonic. And while Durham still tragically lacks a Sonic, the Dog House has the very same kind my sweet spouse employed to woo me. The cups they’re served in are large enough to bathe a toddler. In case you’re not in the mood for hot dogs, there are numerous other Durham spots where one can grab a cheap, tasty, and quick meal. Bojangles. Home of the too-spicy-for-me chicken serves delicious breakfast biscuit sandwiches all day long. Order their yummy onion-spiked potato bo-rounds as a side. 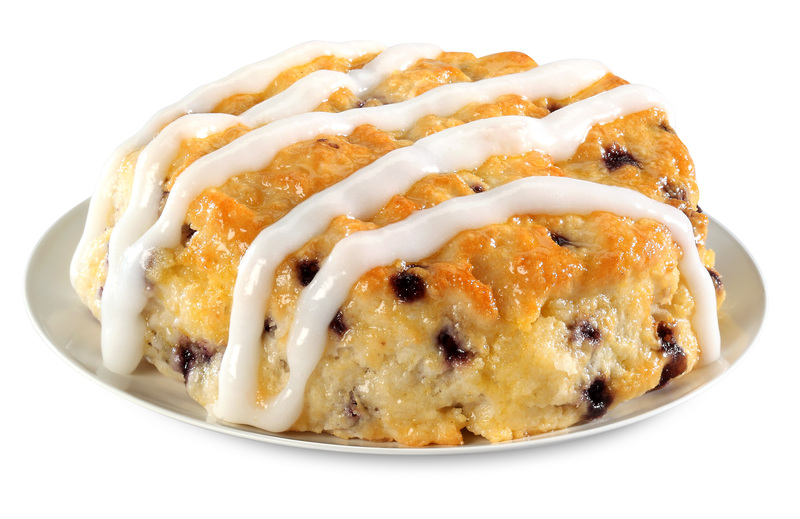 And if you’ve never had one, next time you’re there, make sure you get a buttery, sweet, frosted, bo-berry biscuit. It’s great as dessert, or in the morning with coffee. Costco. The snack bar’s menu has enough variety to please the whole family. And it’s cheap enough to please the family’s financial officer. They serve pizza, hot dogs, sandwiches and salads. And don’t even get me started on their beautiful and exciting vanilla fro-yo. Whole Foods. Visit the extensive prepared foods department. Two huge slices of fresh gourmet pizza go for $6.00 (the turkey carbonara pizza is my very favorite pizza—anywhere). They have a salad sampler plate for around five bucks. And a wisely composed salad or hot bar meal will fill you up on the cheap. Oh yeah, Home Slice liked to party. Now that’s one guy who I think would’ve appreciated the odd plate of sloppy, gloppy cheese fries.